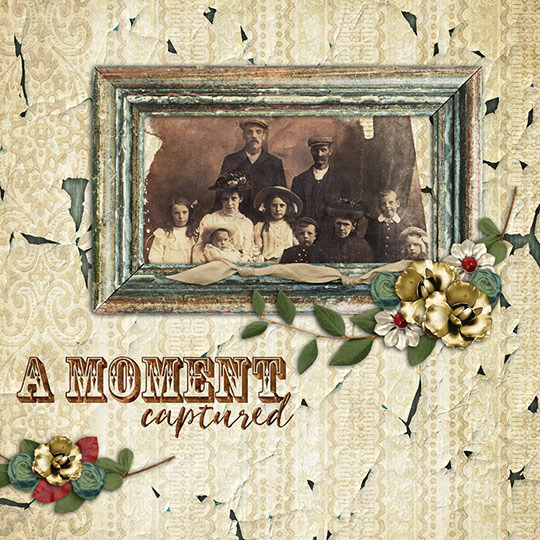 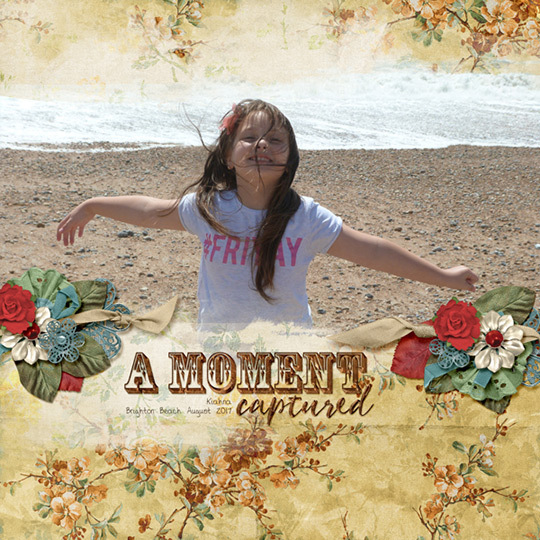 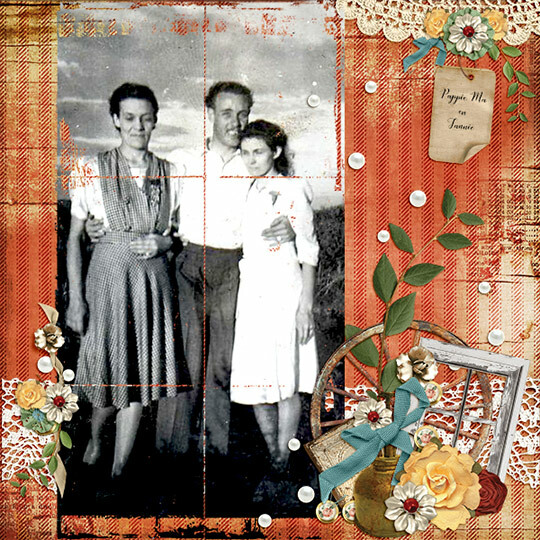 From the combined creative genius of Ginny Whitcomb and Cindy Rohrbough comes a collection that will find its place on your heritage pages, your rustic pages, and your country/whimsical pages. 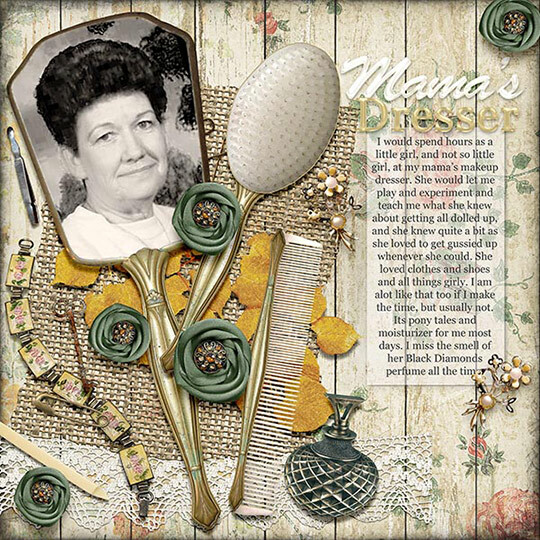 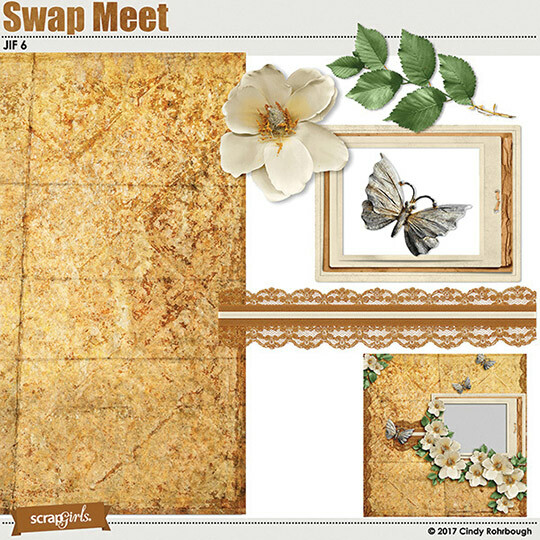 Check out Swap Meet — our August Scrap Girls Club that brings to mind precious memories of vintage treasures from days gone by! 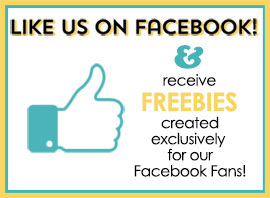 Did you know that Scrap Girls Club members get Members Only goodies that will never appear in the store? 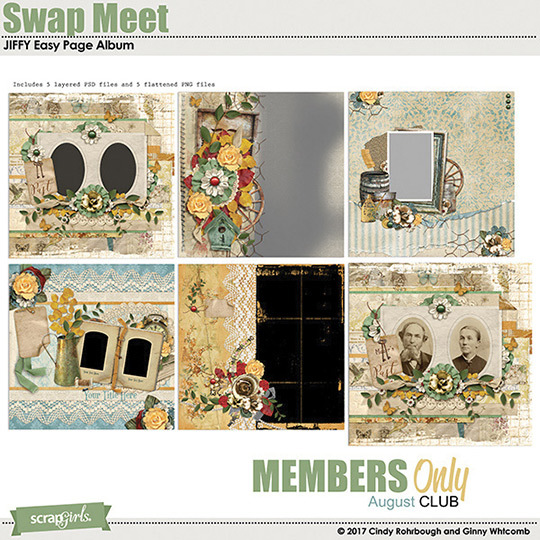 Cindy and Ginny have created a JIF 6 and a JIFFY Easy Page Album just for members!